The Newfoundland has a shoulder height of 56-76 cm (22-30 in) and weighs 50-69 kg (110-152 lbs). Some have been recorded at up to 90 kg (200 lbs). Newfoundlands have a broad head, small, deep set eyes, and triangular ears. They have a flat back, tail carried low, and webbed feet. The Newfoundland has a dense, greasy coat which is medium-length and water-resistant. Newfoundlands can be black or black and white (called ‘Landseer’ after Edwin Landseer, an English artist whose paintings popularized this variety). Some standards allow brown or gray Newfoundlands, and some classify the Landseer as an independent breed. The Newfoundland is good-humored, gentle, and protective of its family. It is affectionate and devoted, known for its friendliness to all people and animals. The Newfoundland tends to slobber and creates a mess when drinking. Newfoundlands have a deep bark and make moderately good watchdogs (they are a little too friendly with strangers). The Newfoundland is good-humored, gentle, and protective of its family. It is affectionate and devoted, known for its friendliness to all people and animals. The Newfoundland tends to slobber and creates a mess when drinking. Newfoundlands have a deep bark and make moderately good watchdogs (they are a little too friendly with strangers). The Newfoundland will be a good friend to any dog, animal, child, or visitor. Supervision around small children is recommended due to the Newfoundland’s large size. The Newfoundland will not adapt easily to new living situations once it has grown comfortable in a home. You can find Newfoundland puppies priced from $200 USD to $3000 USD with one of our credible breeders. Browse through our breeder's listings and find your perfect puppy at the perfect price. The Newfoundland will be a good friend to any dog, animal, child, or visitor. Supervision around small children is recommended due to the Newfoundland’s large size. The Newfoundland will not adapt easily to new living situations once it has grown comfortable in a home. The Newfoundland requires weekly grooming with a brush and comb to prevent tangles, more often when shedding. Newfoundlands have a high susceptibility to hip and elbow dysplasia (malformed joints which can cause lameness or arthritis) and SAS, a heart valve defect. The Newfoundland is not well suited to outdoor life in warm climates. The Newfoundland is very sensitive to the tone of its trainer’s voice. Training must be calm and consistent; overly harsh methods are unlikely to prove successful. 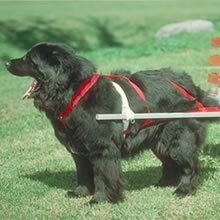 The Newfoundland is an active dog which requires substantial exercise. Most love to swim or pull in cold weather. Do not over exercise the Newfoundland when young as it needs all its energy to grow strong bones and put on weight. The Landseer variety may require more exercise than other varieties. Newfoundland Puppies for Sale - Shipped Worldwide! Finding the right Newfoundland puppy can be dog gone hard work. PuppyFind® provides a convenient and efficient means of selecting and purchasing the perfect Newfoundland puppy (or Newfoundland puppies) from the comfort of your home, 24 hours a day, 7 days a week. Take advantage of our PuppySearch or leisurely browse our directory of hundreds of dog breeds, Newfoundland dog breeders, Newfoundland dogs for adoption, and Newfoundland puppy for sale listings with photos and detailed descriptions. Some Newfoundland puppies for sale may be shipped Worldwide and include crate and veterinarian checkup. Many Newfoundland dog breeders with puppies for sale also offer a health guarantee. With thousands of Newfoundland puppies for sale and hundreds of Newfoundland dog breeders, you're sure to find the perfect Newfoundland puppy.